We're delighted to welcome you to Injury Relief Chiropractic in Gainesville GA. Under the leadership of our chiropractor, Dr. Evelyn Flemons, our team is dedicated to providing your whole family with a lifetime of better health. We can treat a wide range of health conditions without drugs or surgery while ensuring a higher overall state of wellness. Or chiropractor's dual education in biology and chiropractic care gives her the ability to view the body as a single organism instead of a collection of parts to be treated. This "whole body" perspective informs everything she does to help her patients thrive. Chiropractic care - Chiropractic care improves and optimizes joint function so your whole body can function more comfortably and efficiently. Our chiropractor can use this time-tested form of care to treat everything from acute joint injuries and chronic pain to systemic problems caused by impaired nerve function. Physiotherapy - Physiotherapy can be invaluable for individuals of all ages who are dealing with an injury, medical event or chronic health issue. 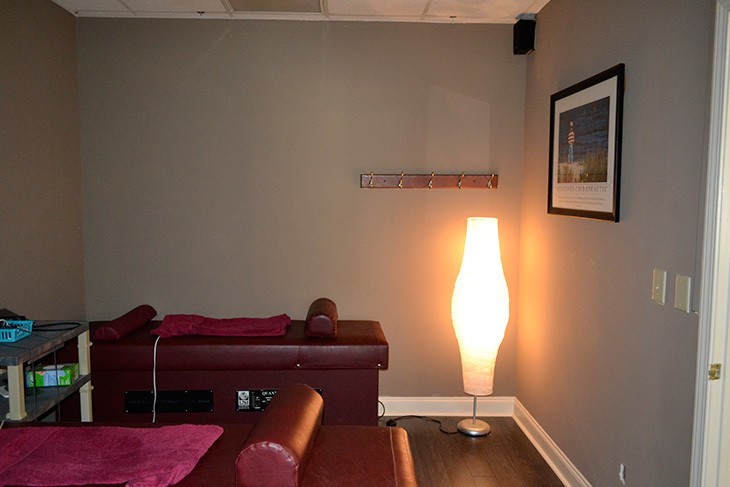 We provide ultrasound, electrical stimulation, ice/heat therapy, corrective exercises and other helpful measures. Massage therapy- Massage therapy facilitates chiropractic care can serve as a powerful healing modality, especially when paired with chiropractic care. We use it to ease soft tissue pain and inflammation, boost circulation, banish stress, speed healing and help athletes ready themselves for events. Neck and back pain relief - Our natural healing therapies can relieve debilitating neck and back pain. Whether you're suffering from an acute injury or a chronic degenerative spinal problem, we can relieve joint strain and improve your range of motion. Headache and migraine treatment - We can relieve the muscle spasms that trigger tension headaches, normalize physical function to reduce migraine severity and help you avoid some of the most notorious migraine triggers. Sciatica and extremity pain relief - Nerve impingement from a spinal misalignment or disc problem can cause extremity pain, notably the lower-extremity symptoms of sciatica. We can stop that maddening discomfort by treating their underlying cause. Auto accident injury care - Auto accident injuries can cause spinal misalignment, sciatica, whiplash and a variety of other painful problems. Let us identify your injuries and relieve your symptoms before they get even worse. Scoliosis screenings - Scoliosis may appear in children as they reach puberty. Periodic screenings allow us to diagnose this spinal curvature issue as early as possible so we can recommend the right treatment options. Take this opportunity to explore our website and learn more about our natural healing services. Then call (770)-535-0850 and schedule a visit our chiropractic center to meet our chiropractor! Dr. Flemons received her Doctor of Chiropractic degree from Life University in Marietta, Georgia, and her Bachelor of Science in Biology from the University of Mississippi (Ole Miss). "It really made a difference in my life. I found a way to avoid the side Effects of pills, but still be able to function with my job and with my family."